Sign Up for Fast Track Learning Courses. Lifetime Access. Free Trial. Learning how to "fast track" projects, committees and I.T. service strategy planning is easy with online training courses from Fast Track Manage. 3 Courses! 3 Ways to Fast Track! And you can get started for free. WE EXPLAIN. WE EXPLORE. YOU DELIVER. 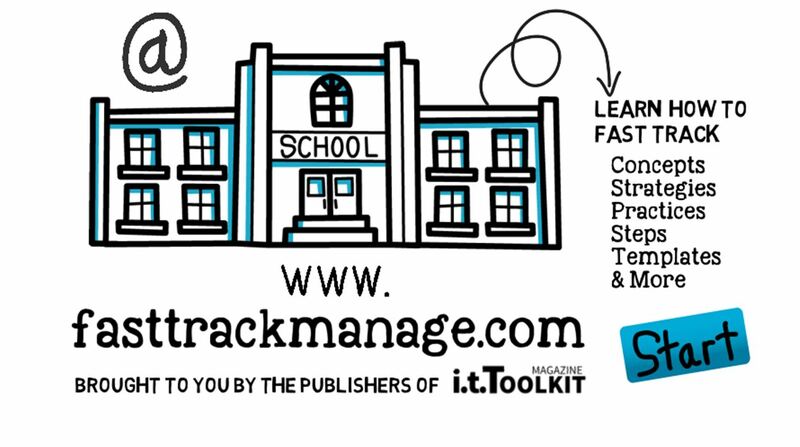 Fast Track Manage Learning courses are easy, engaging and unique. Each course focuses on a specific application of the fast track management methodology, combining how-to learning with take-action tools. Each online course contains lessons, videos, downloadable templates, reference materials, quizzes and more. 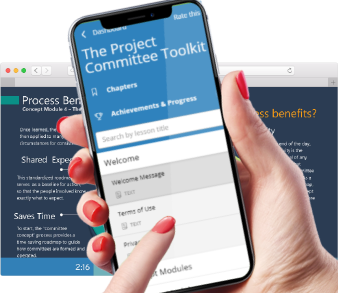 Learn how to fast track the way committees are formed, how they operate and how they get work done. Learn how to fast track the way projects are managed, to avoid the obstacles and fill the priorities. Learn how to fast track the way value-added IT management services are planned and delivered. Keep up on our always evolving course features and updates. Enter your e-mail and subscribe to our newsletter. Visit our social media pages and like/recommend us. © Copyright 2019 Right Track Associates Inc. All Rights Reserved.